Who wouldn’t want to play a bungling stoner dude hired by the U.S. government to deal arms abroad? That’s a question that director Todd Phillips has been asking himself about Arms And The Dudes since 2012, when he first began developing the project based on a Rolling Stone article. The project was in neutral before Phillips and Bradley Cooper decided to officially partner up and make Dudes a priority, though finding a duo to play said stoners has not proven as easy. Initially, Phillips cast Jesse Eisenberg and Shia LaBeouf (presumably because LaBeouf decided he wasn’t retired from public life on that particular day). 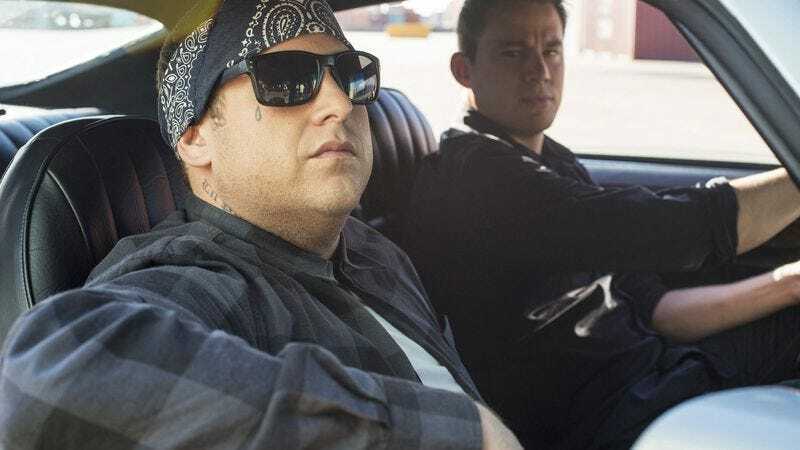 But Variety reports that both would-be dudes have departed, and that now Jonah Hill is in talks to take over Eisenberg’s part, with Miles Teller being offered LaBeouf’s half of the dude pairing. It’s a bit of a homecoming for Hill, who originally read for one of the dudes, but couldn’t make the commitment due to scheduling conflicts—and not because he thought he already made this movie.